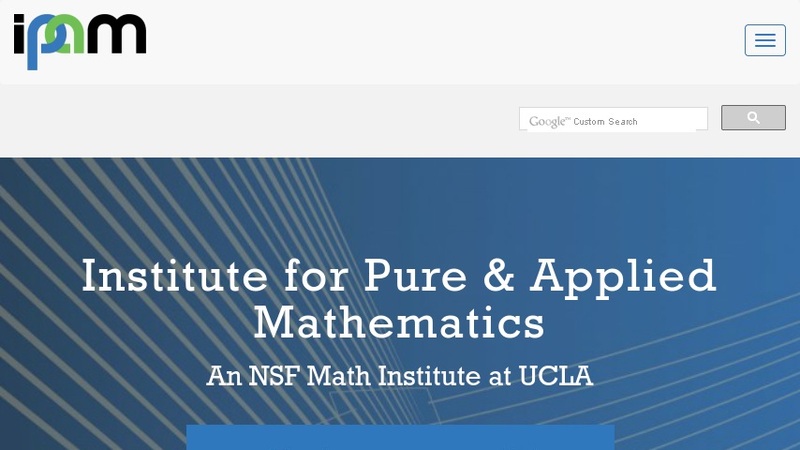 The Institute for Pure and Applied Mathematics (IPAM) at UCLA seeks to "make connections between a broad spectrum of mathematicians and scientists, to launch new collaborations, to better inform mathematicians and scientists about interdisciplinary problems, and to broaden the range of applications in which mathematics is used." The website provides information on the institute's programs and workshops, which are the primary activities of IPAM. Photos from the programs, as well as abstracts and presentations from the events are available online. IPAM Newsletters are free and emailed to you after filling out a simple online subscription form.